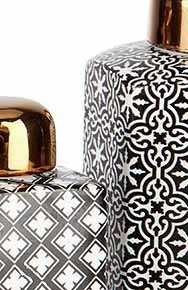 'Tosia' Lidded Jars - Set/5 - 4"-9"
Enhance your space with this set of luxurious Tosia jars. 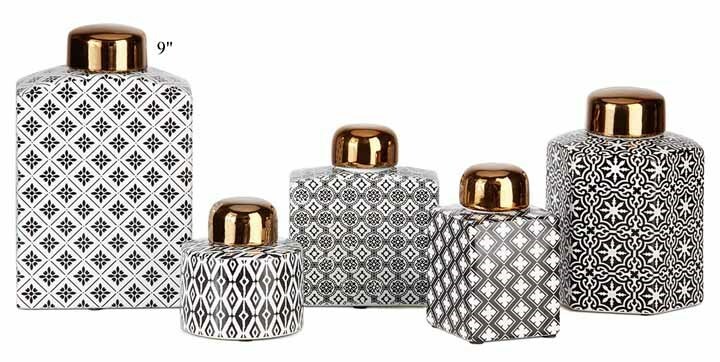 Adorned with different beautiful black and white patterns, these jars are made from 100% ceramic materials that ensures its durability. Place them together as a set in the middle of your living room and delight in its elegant vibe.